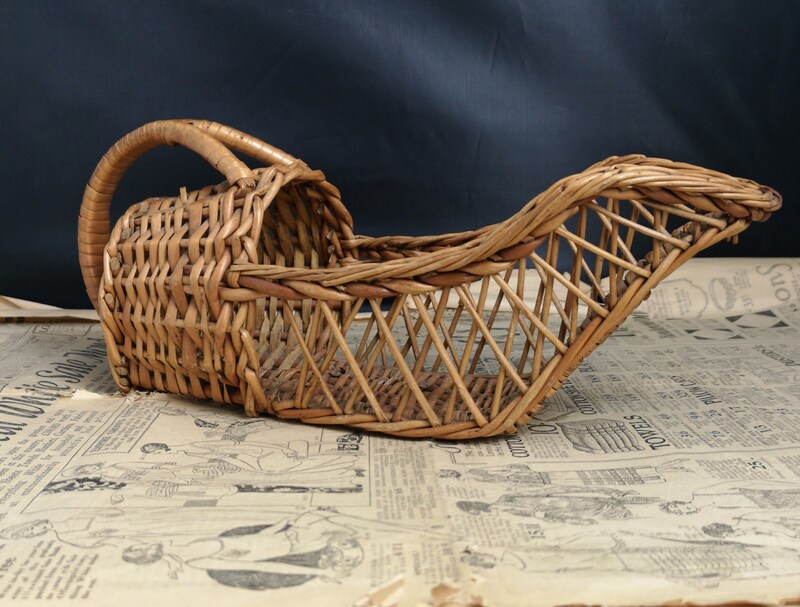 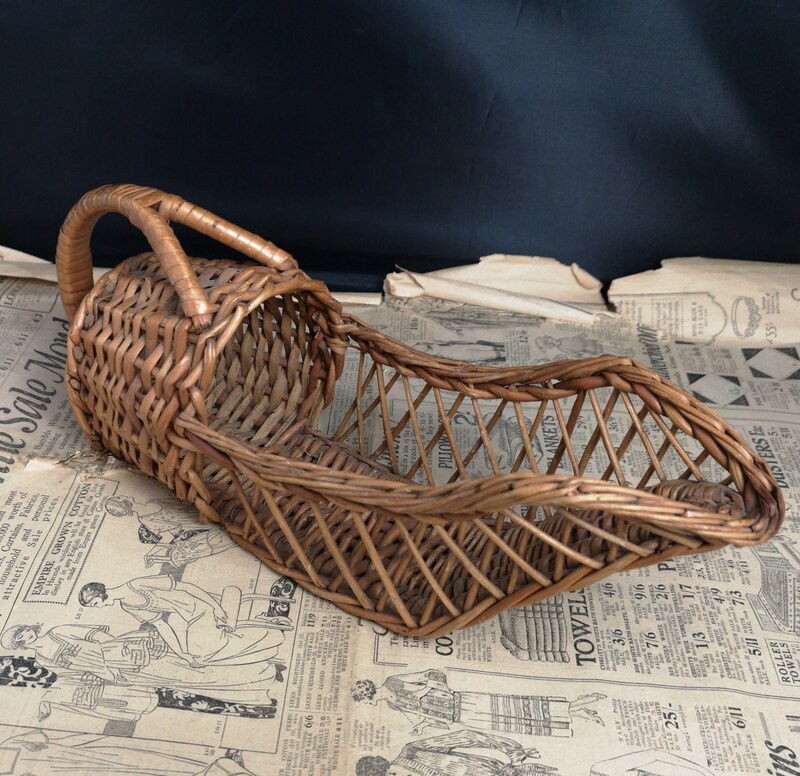 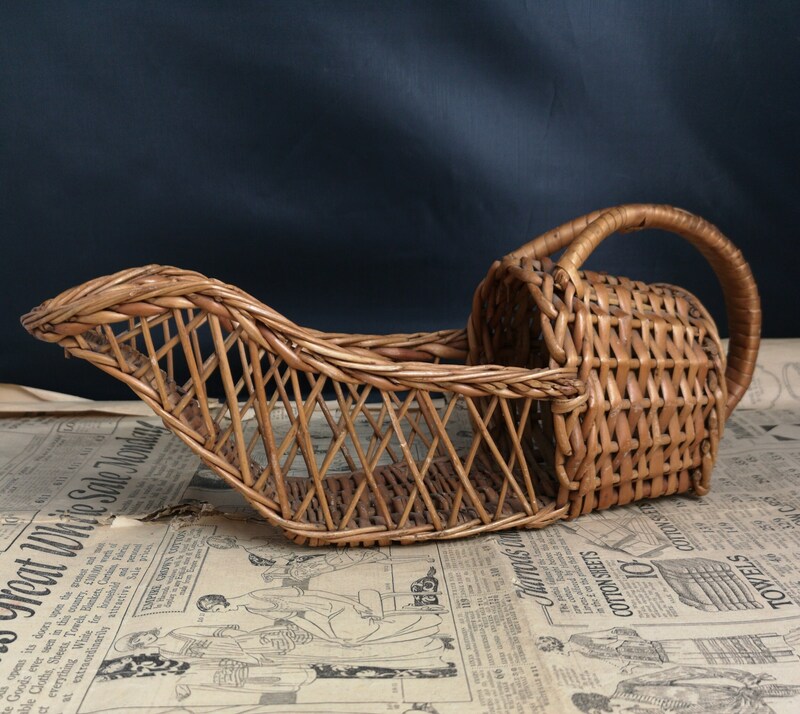 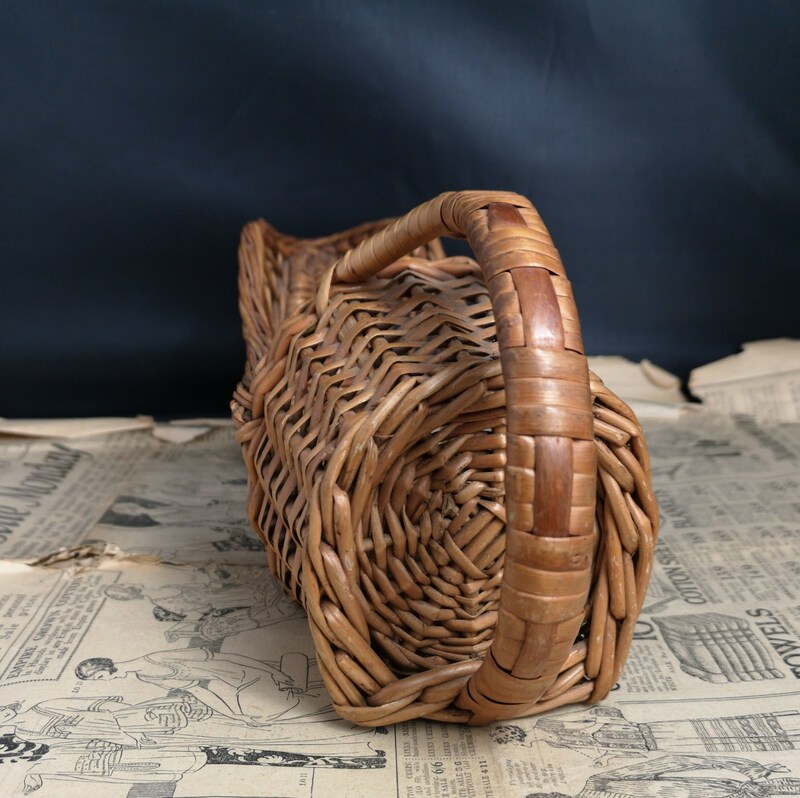 A lovely vintage French scoop basket. 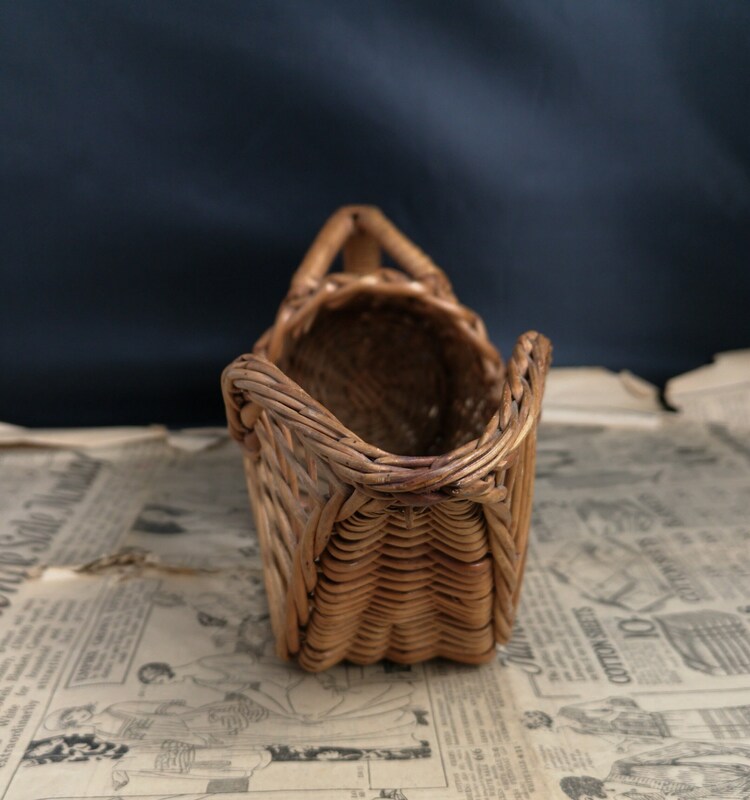 Rustic wicker basket with a wide weave and a lovely shape with a closed back and top handle. 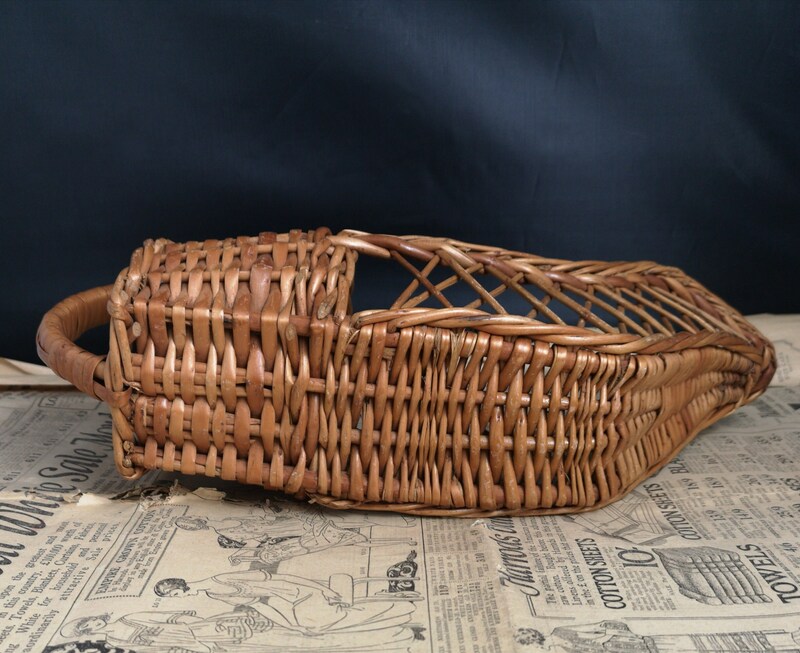 Perfect for gathering garden produce grain etc. 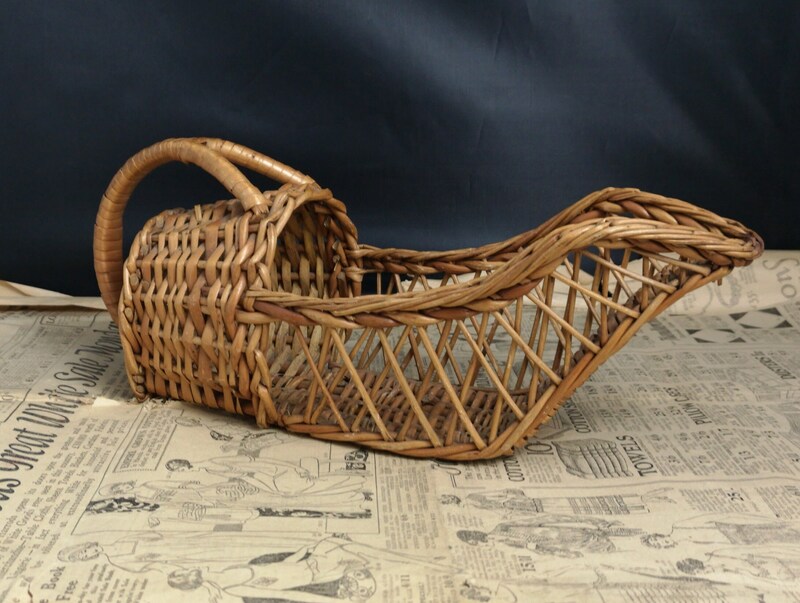 Approx 14.5" length and 4.5" width and 5" height including handle.